I’ve always seen “jalapeno poppers” listed as appetizers at restaurants, but they never struck me as appealing. I usually breeze right past them and look for the nearest spinach-artichoke dip or fried pickles. Call it “wisdom with age”, but I used to think jalapenos were gross just because of how they looked. The same has happened to me with onions and coffee as I’ve grown up. Two foods that I couldn’t stand growing up are daily staples in my diet today (you can get this in writing, though: I will NEVER like mushrooms). One day at the restaurant one of the chefs put jalapenos in my grilled chicken sandwich on accident, and being the “avoid conflict at all costs” type of girl that I am, I didn’t say anything. However, after the first bite I realized: jalapenos are AWESOME! They gave the sandwich a spicy kick that took it to a whole other level. 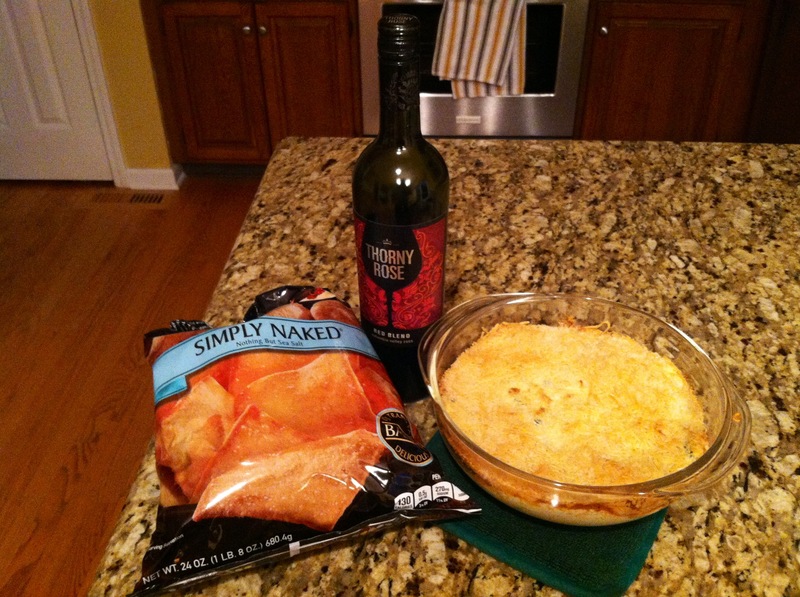 Later that night I stumbled (ironically) upon a recipe for jalapeno dip. I took that as a sign from above and decided to tweak it and bring it to movie night with my friends a few weeks ago. It was a hit! So if you’ve never tried jalapenos before or just love jalapeno poppers and want to try out an easy alternative, this is the recipe for you. The abundance of cream cheese and greek yogurt cools the jalapenos down and together they strike a perfect balance of hot and creamy. 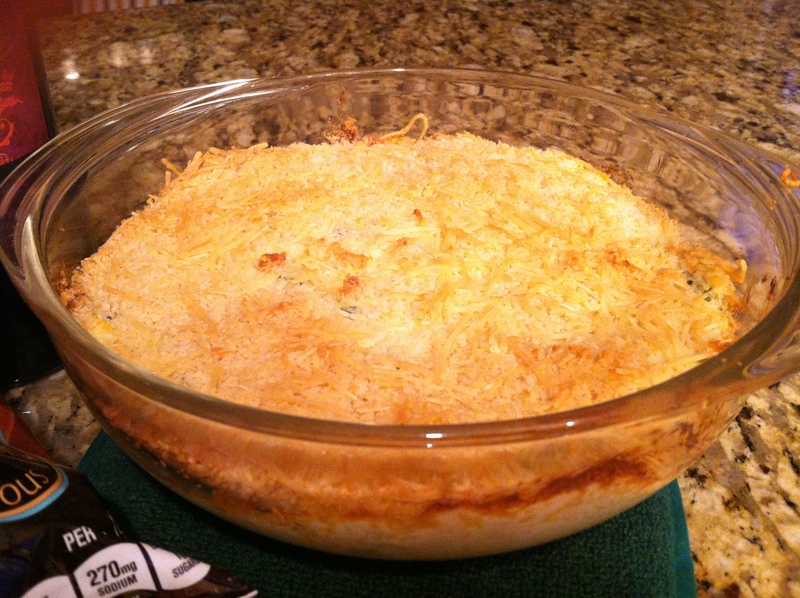 Set oven to 375 — mix all ingredients together and top with the bread crumbs. Bake for 25 minutes and serve immediately. **Serve with potato chips, pita chips, crackers, etc. We had ours with pita but I think it’d be better with normal potato chips or crackers because of the saltiness. This looks DELICIOUS!! When I was younger (we’re talking like 12-13 ish) I could EASILY put away like 15 poppers in one sitting. I am slightly ashamed, and slightly proud of that AHAHA! I don’t eat these anymore, but did try to veganize them..it didn’t turn out so well. MAybe I’ll try to veganize the dip!